Nice bag plenty of storage and it looks good too. 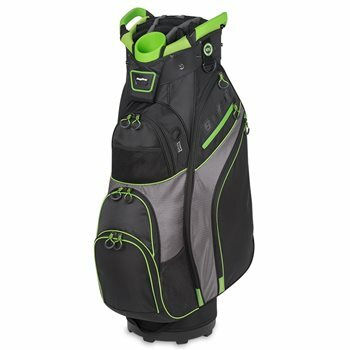 I can carry all my clubs and easily find what I am looking for, you can literally carry everything you might need on the golf course. And the storage pouch for ice and your favorite beverage can't beat it. I have been enjoying my golf bag the past couple of weeks. The chiller bag works great to take a couple of beverages to the course.